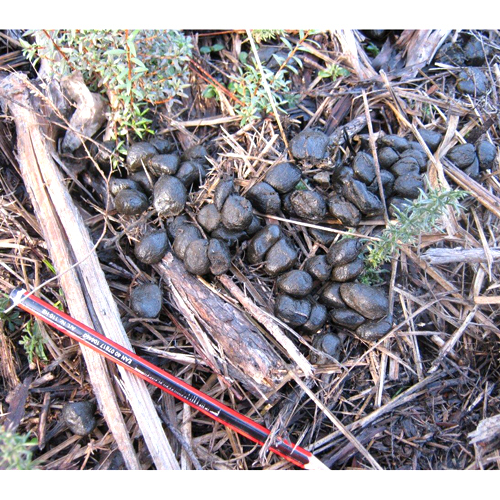 Fresh red deer droppings with pencil for size. Individual red deer pellets are approximately 20 × 20mm in size. From a distance they look like small balls, but on closer examination, are elongated and more pointed at one end.